PKG ultra-portable STUFF is a sleeve with a sleek “hidden handle” that let’s you carry your iPad or MacBook in comfort and style. 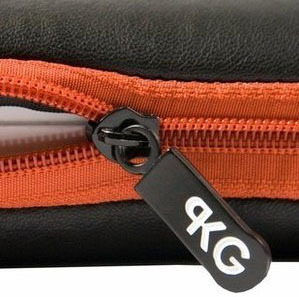 The large zippered front pocket can accommodate pens, papers, keys, etc.. 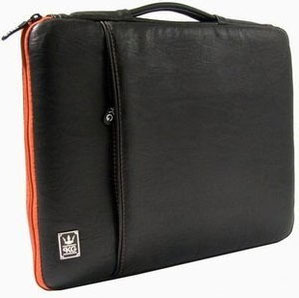 The faux cow leather sleeve comes in 10″, 13″ and 16″ that will fit your iPad or MacBook nicely.